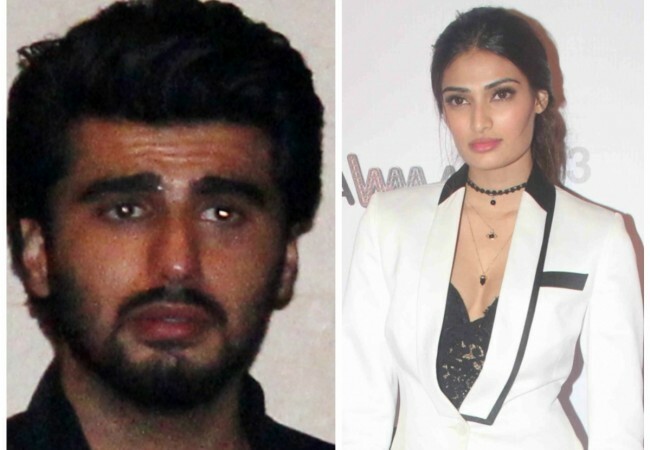 Has Malaika Arora stopped Arjun Kapoor from talking to Athiya Shetty? Before Arjun Kapoor started dating Malaika Arora, his name was linked with a number of actresses. Before Arjun Kapoor started dating Malaika Arora, his name was linked with a number of actresses. Parineeti Chopra and Athiya Shetty were also among those names. While Parineeti and Arjun often clarified that there was nothing brewing between the two, insiders found it difficult to believe that Athiya and Arjun were just good friends. However, as per a report in TOI, ever since Malaika's entry into the Kapoor lad's life, things haven't been that smooth between Athiya and Arjun. Athiya and Arjun came closer during the shoot of 'Mubarakan' but as Malaika and Arjun's bond became stronger, Athiya was pushed out of the circle. The report further states that Athiya and Arjun had a bad showdown at his house after which the duo stopped talking to each other. As Arjun and Malaika started getting closer and their families and friend circle started accepting them into each other's groups, Athiya became more and more distant. Rumours of an April wedding for Arjun Kapoor and Malaika Arora kept doing the rounds. After refusing to comment on the topic, both, Malaika and Arjun finally denied the rumours and called them 'false' and mere 'conjectures'. In an interview, Malaika had revealed how her son reacted to the whole divorce fiasco between her and Arbaaz Khan. She said Arhaan can see the difference in the two of them and how happy they both look now. She also recalled that her son had said to her a few months after the divorce, "Mom, you look happy." Arjun Kapoor also seems to be trying to get to know and gel along well with Arhaan. A few days back, Arjun, Malaika and Arhaan were spotted having lunch together.